Now is the time to invest wisely. These 7 names have the backing of top analysts. The market is a perilous place right now. Most stocks are firmly in the red. And the jury is out on what’s coming next. Some say we are heading for a full-blown bear market. Others believe the old bull market is lurking just around the corner. Even so, it’s best to be prepared. Whatever happens next you don’t want to get caught out. That’s why I put together this list of solid stock picks for whatever the market will throw at us in 2019. As you will see these stocks also get the thumbs up from the Street. That’s an encouraging start. Here I use data from TipRanks to get some idea of the upside potential analysts see coming our way. Can this healthcare giant do no wrong? “Not surprised, just impressed” cheered five-star Cantor Fitzgerald analyst Steve Halper (Track Record & Ratings). He’s out with a bullish rating on the stock following UnitedHealth Group’s (NYSE:UNH) annual investor conference. And he isn’t the only one. UNH has racked up 12 back-to-back analyst buy ratings in the last three months. That’s pretty impressive whichever way you look at it. Meanwhile the $309 average analyst price target suggests 22% upside lies ahead. That’s just a shade under Halper’s own price target of $310. “Although the shares are not inexpensive, we maintain our view that the current share price does not fully reflect the company’s long-term growth and free cash flow growth potential” concludes the Cantor analyst. Interested in UNH stock? Get a free UNH Stock Research Report. T-Mobile (NYSE:TMUS) is the third-largest wireless carrier in the U.S., capturing virtually all of the industry growth since 2013. According to Oppenheimer’s Tim Horan (Track Record & Ratings), these share gains are down to a greatly improved network and innovative marketing to under-served niches, in both urban and rural areas. He has a buy rating on the stock with a bullish $90 price target (37% upside potential). “We believe the key to the stock’s performance lies in improved network (lower churn), innovative marketing, expansion into rural areas and cost controls, while at the same time trying to leverage its 4G advantage versus its prepaid competitors” Horan explains. Most encouragingly, he is growing more confident (~90% likelihood) that the Sprint (NYSE:S)/TMUS merger will be approved by regulatory authorities. That’s with divestitures that could spawn a new, fourth competitor. That’s good news because the merger can generate an estimated $6 billion in synergies. Net-net: “We expect TMUS to outperform as it continues to take share and see margin improvement.” Overall, this “strong buy” stock scores seven recent buy ratings vs just one hold rating. That’s with an $82 average price target for 24% upside. Get the TMUS Stock Research Report. Altria Group (NYSE:MO) is one of the world’s largest producers and marketers of tobacco, cigarettes and related products. The company owns Philip Morris (NYSE:PM), maker of the famous Marlboro cigarettes. And now it’s expanding into new territory. The company is buzzing on the news that it has acquired a major stake in pot stock Cronos Group (NASDAQ:CRON). Altria is now Cronos’ exclusive partner in the cannabis sector — and is poised to gain as new markets for medical and recreational weed open up around the world. Specifically, Altria is investing C$2.4 billion ($1.8 billion) to acquire a 45% stake in Cronos and will also receive warrants that, if exercised, would increase that stake to 55% for a further C$1.4 billion. So far the reaction from the Street is upbeat. Wells Fargo analyst Bonnie Herzog (Track Record & Ratings) called the deal “very positive” as it significantly expands Altria’s total addressable market. “Overall, we applaud MO’s decision to pivot fast and to move into a new adjacent category (cannabis) that is complimentary to its core tobacco business,” she said. Herzog doesn’t have a price target on MO’s stock, but we can see that the average target of $68 indicates 35% upside potential. Plus the top analyst consensus is “strong buy” with five recent buy ratings. Get the MO Stock Research Report. HCA Healthcare (NYSE:HCA) is the largest hospital operator in the U.S. It provides services through a network of acute care hospitals, outpatient facilities and other settings. Oppenheimer’s Michael Wiederhorn (Track Record & Ratings) is one of the top 50 analysts tracked by TipRanks, so he tends to get it right when it comes to stock picking. Right now Wiederhorn is betting on HCA as a solid long-term stock pick. 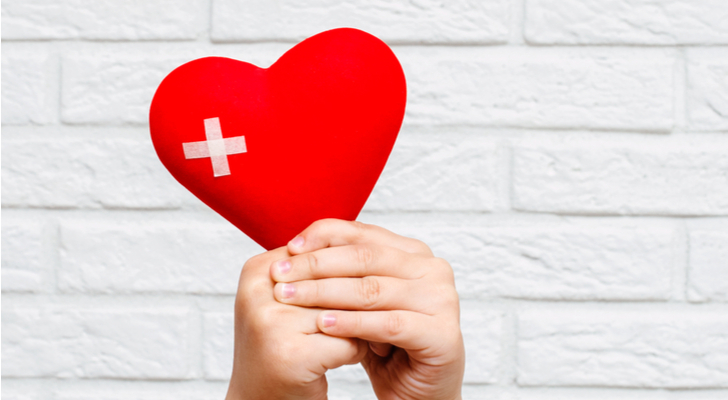 First, the hospital industry should continue to benefit from improved admissions growth and payer mix thanks to policy initiatives from the Affordable Care Act. Plus, HCA has continued to boast stronger operations than peers over the long term, given robust same-store growth and strong cost management. For example, HCA generated impressive free cash flow of $900 million compared to $300 million in the year-ago period. “Given that these trends show no signs of slowing … we believe HCA remains the premier hospital company and maintain an Outperform rating” sums up the analyst. His $142 price target suggests 12% upside lies ahead. And the Street is even more bullish. This “strong buy” stock has a $156 average price target (25% upside potential). Get the HCA Stock Research Report. 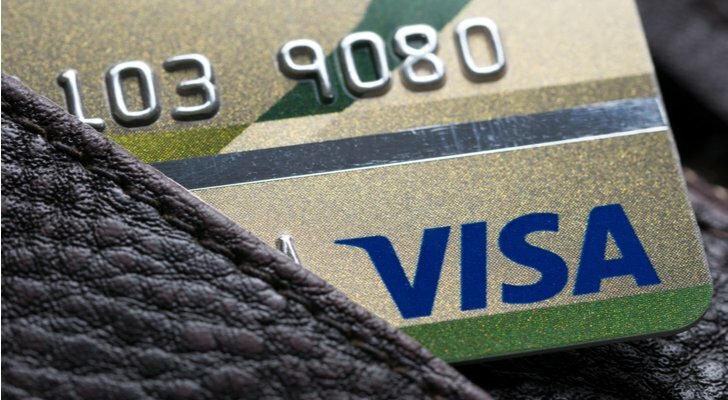 Strong growth continues over at credit card giant Visa (NYSE:V). And the company has multiple tailwinds ahead. Don’t just take my word from it. This is the advice of top-rated Cantor Fitzgerald analyst Joseph Foresi (Track Record & Ratings). “We like Visa’s opportunity to capitalize on the global conversion of cash into credit, international opportunities, and digital payment tailwinds” writes the analyst. Most notably, Visa Direct, contactless payments and B2B are all potential price catalysts. For example, Visa Direct is growing rapidly, with volumes continuing to increase by more than 100% year over year. This is fueled by increased activities by end users alongside expansion of reach and scale. Indeed, this “strong buy” stock boasts a $168 average analyst price target. 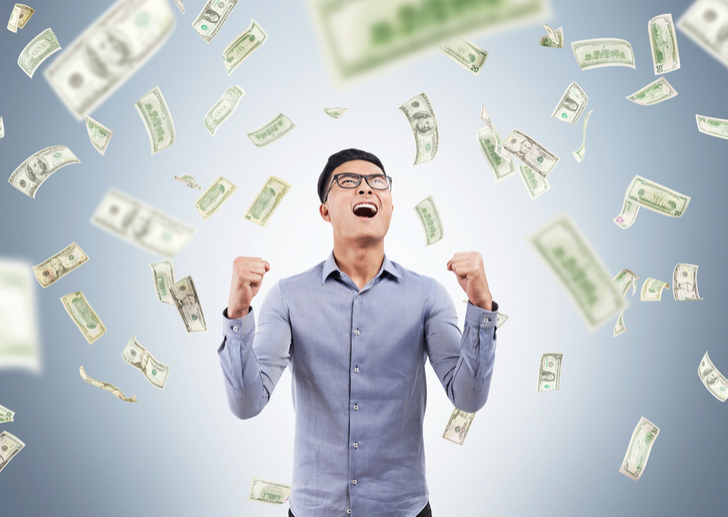 Given shares are currently trading at $135 this means 25% upside is on the cards right now. Get the V Stock Research Report. Home Depot (NYSE:HD) is the U.S.’s largest home improvement retailer, with over 2,200 retail stores. 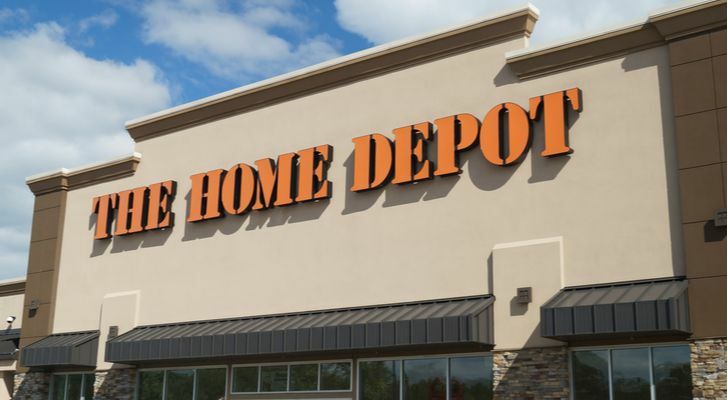 Even if the housing market slows, Home Depot is nevertheless a strong stock to buy. “HD believes it can post healthy comps today despite a softer housing market, owing to a strong consumer, healthy secular/housing dynamics (aging, formation, appreciation, etc.) and market share gain” explains Top-100 analyst, Scot Ciccarelli (Track Record & Ratings) of RBC Capital. He notes that sales at Home Depot have remained strong and broad-based. According to Ciccarrelli, Home Depot should benefit from better customer service, improved merchandising, additional supply-chain enhancements, and strong returns to shareholders. Indeed the company has just increased its FY18 share repurchase outlook to $10 billion from $8 billion. The upshot of this is: buy. “We view HD as a long-term winner and near-term outperformer, with strong execution and ample growth drivers (Pro, Omnichannel, supply chain, etc.) for market share gains and higher share of the Pro wallet.” wrote Ciccarelli. He has a $191 price target on the stock, just a shade lower than $201 average analyst price target for 18% upside. Bear in mind 10 out of 14 top analysts are bullish on the stock right now. Get the HD Stock Research Report. Merck (NYSE:MRK) is one of the world’s largest pharma companies, delivering revenue in 2017 of over $40 billion. The pharmaceutical giant is seeing big and steady sales of its cancer drug Keytruda. Keytruda works by aiding the body’s own immune system to fight and kill cancer cells. “Merck has distinguished itself with excellent IO [immunotherapy] execution” cheered top BMO Capital analyst Alex Arfaei (Track Record & Ratings) on Nov. 16. The analyst adds: “If Merck maintains ~40% long-term share of the U.S. IO market, this would imply sales potential of $9.4Bn by 2030. That is plausible given Merck’s strong execution in IO so far.” He is currently forecasting U.S. Keytruda sales of $7.4Bn by 2030, but says this seems conservative given recent trends, especially given the recent FDA approval for Keytruda + chemotherapy for non-small cell lung cancer (NSCLC). At the 2018 American Society of Clinical Oncology Conference, the “beautifully positive” KN407 was widely recognized as establishing Keytruda plus chemo as the new standard of care in 1L squamous NSCLC. Arfaei currently has an $80 price target on “strong buy” rated Merck. 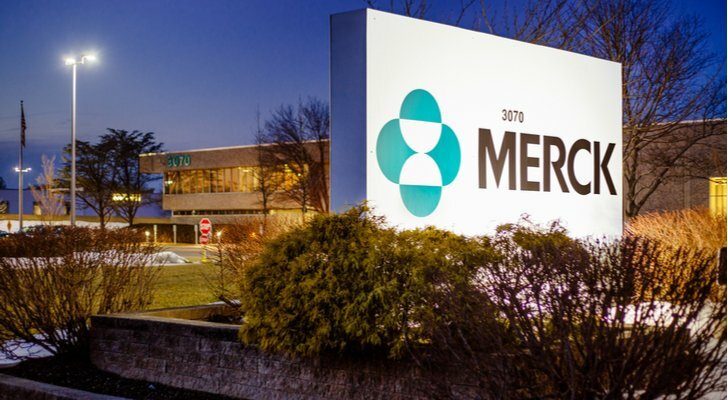 Indeed, in the last three months, Merck has received seven consecutive buy ratings from analysts. This is with an average analyst price target of $83 (11% upside potential). Get the MRK Stock Research Report. Article printed from InvestorPlace Media, https://investorplace.com/2018/12/7-safe-haven-stocks-for-a-treacherous-market/.